I've quite been an enthusiast of these daybeds as couches, and their profundity helps round out this wide space pleasantly. I think I cherish them such a great amount of in view of the open door for heaps of cushions! The spotless lines of the advanced bookshelf and end table help keep things new and vaporous in this space. 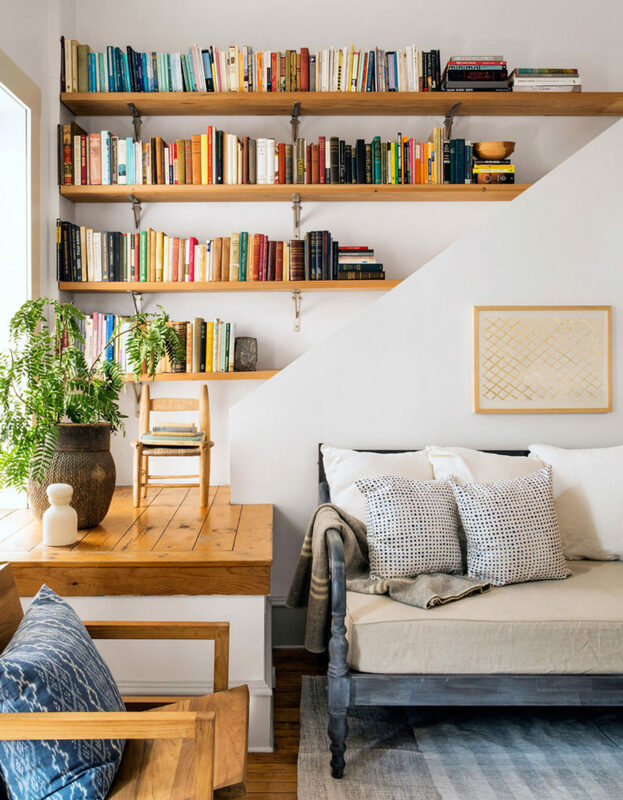 This hip corner could puzzle to most property holders, yet I cherish how the proprietor, Anna Hillegass, who claims The Foundry in Minneapolis, took somewhat of a marketing way to deal with the spot with bookshelves and a little show zone for that sweet minor seat and plants.